As children, we were constantly told by our parents to ‘go to sleep’ or it’s ‘past our bedtime’ yet as adults we find it too easy to stay up later than we should or simply try to get by on just a few hours of rest. Sometimes we are not even aware of how little sleep we get. 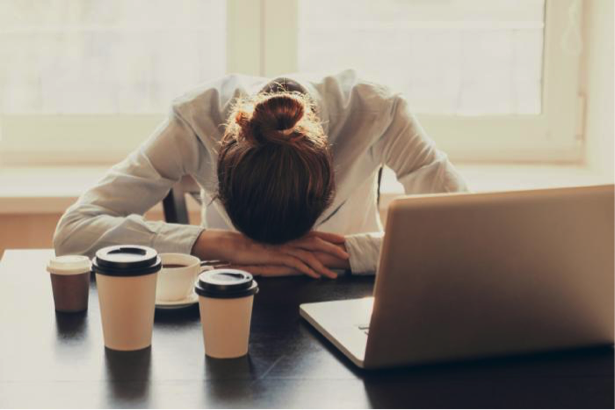 What we don’t realize, however, is how our lack of sleep can actually cause weight gain even if you think you are eating well or exercising enough. Weight gain can lead to type-2 diabetes, blood pressure issues, obesity, and a host of serious health issues that can be made worse by simply not getting your 7-8 hours of rest. Cortisol levels (the stress hormone) will increase due to a lack of sleep and will prompt the body to store more energy as fat, primarily in the abdominal region. Research has also shown that there is also a direct correlation between lack of adequate sleep and increased insulin which leads to Type-2 diabetes and obesity. Sleep loss can also upset the balance of two key hormones designed to help tell you when to eat and when to stop eating. Ghrelin levels will rise and have you eating when you are not hungry. Leptin levels will fall and you won’t know when to put down the fork. Lack of sleep can also cause cravings for fatty or sugary foods due to higher levels of serotonin that are released from higher stress levels. Studies have also shown that decreased sleep can also interfere with the overall success of weight loss efforts. If you are actively trying to lose weight, sleep should be an important part of your daily routine along with diet and exercise. No Tech Zone – Banish the tablets, laptops, and smartphones from your bedroom. Our devices are keeping us distracted and not allowing our brains the time to simple rest and reset. Dark & Cool – A dark room will cue the body to release the natural sleep hormone melatonin while being in a bright room will actually suppress it. Keep it cool, too, as this also helps you fall asleep faster by lowering your own core body temperature. Establish a routine – Remember when you were a child and had a routine every night before bed? Try doing this for yourself…have a cup of decaffeinated hot tea or take hot bath to help relax and ‘declutter’ the mind before turning out the lights. No, binge watching ‘Friends’ on Netflix doesn’t count! Set a ‘bedtime’ – What we find so easy to enforce with our kids is sometimes the hardest to stick to for ourselves as adults. Simply set a time every night to be in bed, lights off, and ready to sleep. Make an appointment with yourself every night to get the rest you need.